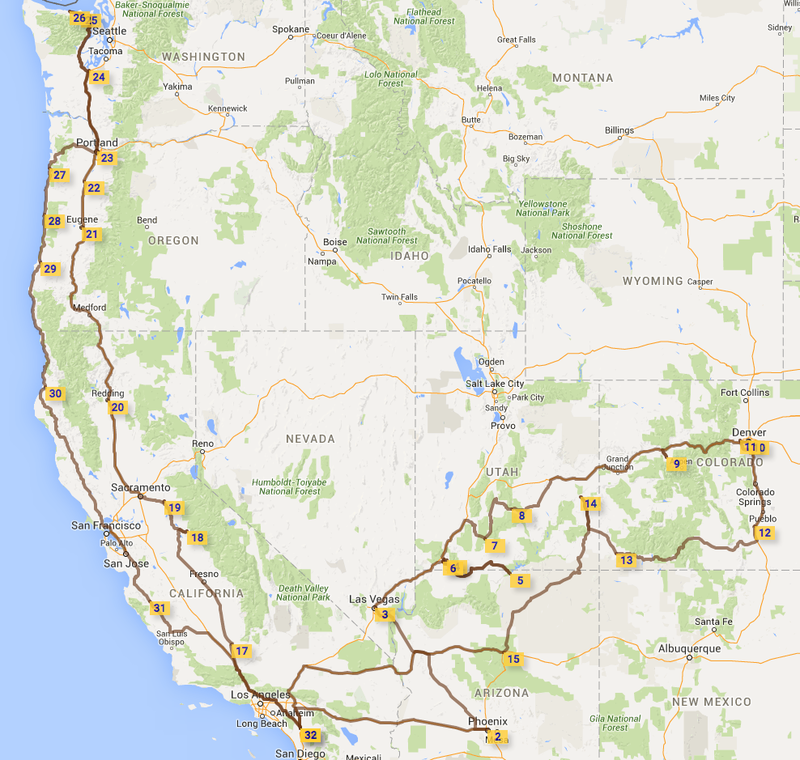 After accomplishing our goal of traveling through all 48 contiguous states, we returned to California, coming full circle with our journey. 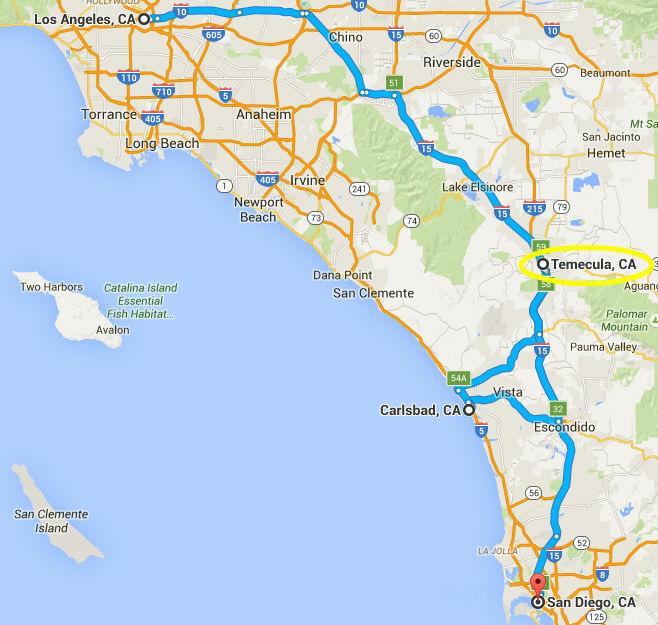 We spent 4 months in Temecula, CA (from December 2014 to April 2015), contemplating life and where to live, what to do for work/income, and basically where to go from there. 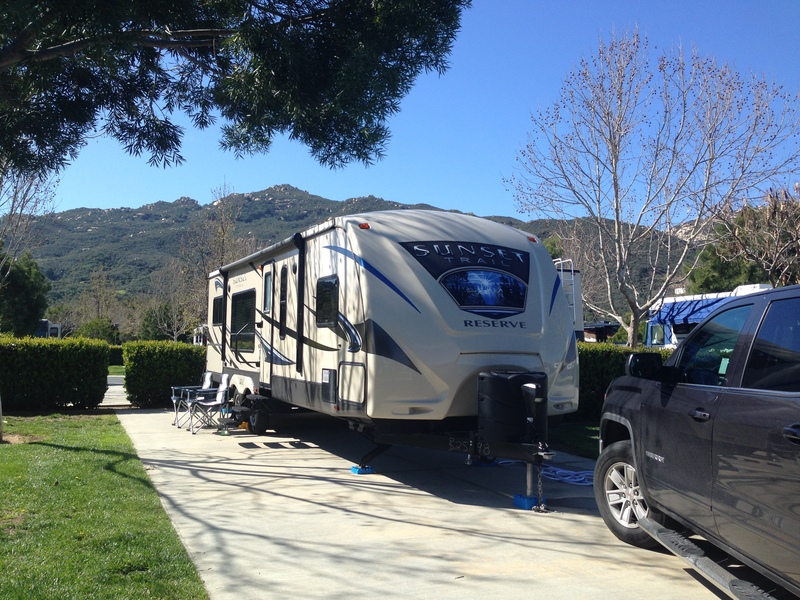 We stayed at the Pechanga RV Resort, one of our absolute favorite RV parks from all our travels throughout the country! 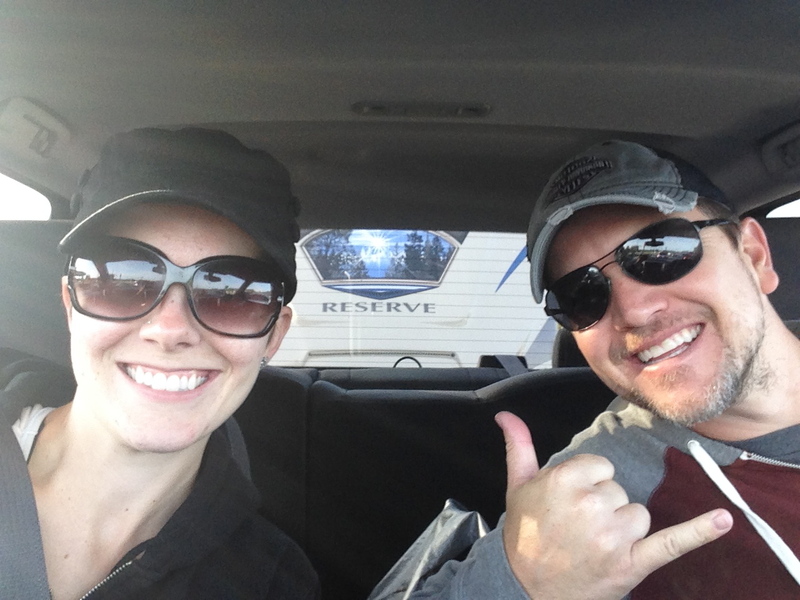 We really enjoyed our time in Temecula and were actually considering settling down there. I mean, vineyards, wineries and wine tastings, what’s not to love? Plus, there’s a casino (with a buffet…score!). And Temecula even has an adorable Old Town section with a Wild West vibe straight out of an old cowboy movie (okay, maybe not that authentic, but charming nonetheless). There are cute shops along with a surprising number of bars and restaurants. Welcome to Old Town Temecula! There were also countless parks on practically every neighborhood corner with plenty of grass for Saucy to fetch her ball, her all-time favorite activity. Saucy was in heaven, and Meaty loved walking at the parks! Temecula felt very suburban with great housing developments featuring large, newer homes and a lower cost of living than most of Southern California. It had the small town feel I had been looking for. Plus, with a central location (85 miles south of Los Angeles, less than 60 miles north of San Diego, and 35 miles east of Carlsbad, Oceanside and, well, the ocean), Temecula seemed like an ideal spot. We thought it might be the place where we could settle down. But while being there for several months, Justin realized it was too “small town” for him. He needs to be in a big city or at least closer to one. And after being stationary for so long, we were itching for another adventure! Feeling pressure from still not knowing where we should live, we needed to hit the road again. 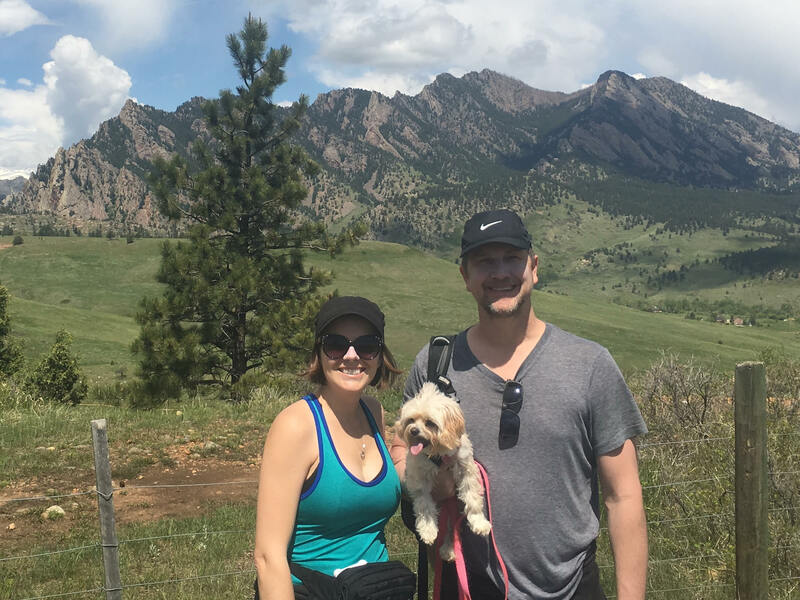 Denver had been nagging us from the recesses of our minds ever since our failed attempt at visiting the Mile High City. You might remember the fiasco that happened when we first stopped over in Denver months ago, which caused us to take off in the middle of the night and completely miss seeing the capital of Colorado. Back on the road with our trailer in tow! Where did we move to? I’ll announce our new location in my next post! Next postWhere We Decided to Live!!! So excited to hear where you guys end up!! I know some people that live in the temecula area. It’s really pretty there, but is small town(ish). It’s also super hot in the summer, so you’d need to love heat!